Have you ever visited the "About Us" page, perused the brief information on the founders, staff, and inception of Neopets.com, and wistfully read this now-famous statement? "Adam currently has 11,070,786 Neopoints, more than you - haha!" And have either of the following sentiments crossed your mind? Sound familiar? If counted culpable, you are not alone. Unfortunately, when it comes to the highly-prized Number Six avatar, a majority of Neopians are blinded, thinking that earning the necessary Neopoints is nearly impossible -- when the reality is exactly the opposite. One purpose of this article is illuminating the truth: That anyone (yes, anyone!) is capable of attaining the Number Six avatar! "I am too ______ to be able to earn Adam!" Fill in the blank with your choice: young, old, poor, sick, on dial-up, etc. The question to ask yourself is whether such an evasion will make the goal easier or more difficult to obtain. Honestly think about it. Yes, some circumstances will prove more challenging to work through than others, yet with a mind clearly set on a purpose, any obstacle can be overcome. So, why cling to a rationalization if it will only be a roadblock rather than a steppingstone? Now is the time to weigh all the pros and cons and decide if you truly want to pursue the Adam avatar. This means burying all discouraging thoughts permanently and beginning a journey that will require sacrifices but carry incredible rewards in the end. If you have answered in the affirmative, congratulations! The goal is set, and you're ready to take the first step. 1. Restocking: By general consensus, the quickest, most efficient way to earn NP is restocking -- the term given to buying an item from a main Neopian shop and subsequently selling the same item for a profit in your own shop. The item has then been stocked twice, hence the name. For example, Chocolate Ice Cream stocks in The Food Shop for around 4,000 NP. You click on the item and confirm your intention to buy. Then, noting the Shopkeeper's price, you place the cursor in the haggle box and your fingers on the number keys, and type in a decent offer -- all as quickly as possible. If the process was fast enough, the Shopkeeper will declare his acceptance and add the item to your inventory; you can then place the Chocolate Ice Cream in your shop for 26,000 NP, earning you a 22,000 NP profit once it sells. Understand the basic shop system set-up. Nearly a hundred main Neopian shops are located in both prominent and hidden places throughout the planet, each specializing in a specific category of item ranging from books and food to petpets and beauty supplies. Twenty-four hours a day, seven days a week, items regularly stock in their particular shops, appearing at random times. The actual items along with their position, quantity, and price also vary; however, the rarity system plays a significant role in how often items show up. Each item on Neopets is assigned a rarity, but specifically, items in shops are given a number between 1 and 99, 1 being incredibly common and 99 being Super Rare. For example, a Pumpkin Pie has a rarity of 1, and when the Spooky Food Shop stocks, Pumpkin Pies will inevitably be there. Conversely, a Cadaverous Cola (r99) will be nearly impossible to find. Get to know your shop(s). It may sound strange initially, but getting to "know" your shops is an intricate part of restocking. First, choose a shop to begin in, something simple like the Food Shop or an area that interests you -- if you're a Neohome addict, you might want to try Neopian Furniture, or if the Chocolate Avatar is a goal, the Chocolate Factory will be perfect. In a separate window from the shop, open the Shop Wizard or Super Shop Wizard. Now, begin refreshing the shop page periodically, not too often to avoid being shop banned*. Once the shop stocks, do not click on anything; simply allow your eyes to roam over each item, its quantity, and price. Then, choose two or three items that appear profitable and check their prices on the Shop Wizard. Were they big profit or loss? Make notes on a word processor or notepad, or if you have an amazing memory, simply use your mind, tucking this knowledge away for future reference. Continue watching the shop stock, repeating this process many times. When you start to feel comfortable and can tell which items are worth pursuing, go for it! Before long, you'll know the shop thoroughly, instinctively clicking on the worthwhile items, and can encore this performance repeatedly until you have a unique repertoire of shops you're proficient in. Practice! With numerous variables, restocking is hardly an exact science, but practice can definitely heighten the success rate. Whenever possible, restock! If the shops seem slow-paced, don't complain; instead use the time to sharpen your haggling skills. 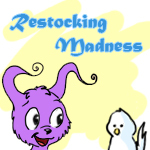 Simply choose a random, cheap item and pretend it's a normal restock, except refrain from actually clicking on the Neopet picture. There are about five to six steps in the whole haggling process, some simultaneous. I usually have trouble placing the cursor in the haggle box quickly enough. Everyone is different, though; work on your Achilles' heel. The more you restock and practice, the better you will become. And eventually, all the work will redeem itself in the form of success. "Darigan Draik Egg is SOLD OUT! It's sold out :( I really wanted a Darigan Draik Egg"
A. Computer/Internet: Do you have an excess of windows or tabs open? Try closing some. Is the Internet connection and power source to your computer secure? If not, attempt to remedy that. If all else fails, clear cookies/cache and restart your computer. B. Date/Time: Is it a school/work holiday or a weekend? Is it early evening? More people are likely to be online in those cases, and, therefore, the competition will be greatly increased. Take advantage of the "Players Online" statistic and aim for occasions when fewer users are online, such as early morning and late at night. C. Site Issues: Occasionally, the site will experience difficulties which can affect page loading whether due to heavy traffic, site updates, or server problems. 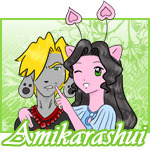 The Neopets Team (TNT) will sort it out as soon as possible; all you can do is wait until then. Of course, since human nature means making mistakes, there will undoubtedly be times of failure when it's completely your fault. Whenever you mishaggle on an amazing item or actually lose NP by restocking a junk item, resist the natural urge to beat yourself up, and rather decide how to learn from the experience. And remember, the only way to fail is to stop trying. *Shop Banned: All Main Neopian shops appear to be empty when, in reality, they still continue to stock items. The length of time banned varies per case but is usually between 12-24 hours long. TNT has stated this is not a punishment but a way to balance the system. 2. Games: Considering Neopets is known as a “Game Site,” it’s hardly surprising games are such an intricate part of the site. Games are the original way to earn NP. And while several game offshoots exist that garner NP, I’m specifically referring to old-fashioned game playing in this section. A. Featured Game: Every day TNT chooses a game to feature, which is prominently displayed at the top of the Games Room. The chosen game gives double the NP, meaning a normally 3,000 grossing game is doubled to 6,000 NP. B. Game Play Reset: Occasionally and rather rarely, a random event will happen that resets your game play to zero for a certain game. When this occurs, if you’ve already played a game three times, you’re able to play an additional three. Many Neopians claim to be horrid gamers, but playing games just for fun and NP does not require amazing skills, just some vital knowledge. NP Ratio: All games have a NP ratio, a very important number. It’s the ratio of points to NP earned. If, for instance, a game’s ratio is 1.0, you’ll need a score of 1,000 to receive 1,000 NP. Likewise, a ratio of 2.0 will require a 500 score and .50 will require 2,000 to collect 1,000 NP. A game’s ratio is not constant, though, because towards the end of every month, TNT switches the ratios around. The highest NP ratio I’ve seen is 13.64. Aim to find games that make your time worthwhile. Read the Instructions! As embarrassing as it is to admit, numerous times I’ve played a game without reading the instructions, thinking it was simple, or reading them but missing an essential part. So, take time to read and understand the instructions, play the game, and then read the directions again if necessary. Sponsor Games: As paid advertisements for everything from cereal to create-your-own apparel, sponsor games can often be a guarantee when other games fail. Usually, they quickly provide NP with little time and thought necessary, like the personality quizzes or crowd patrols, which churn out approximately 1,000 NP in only a minute. Finding Favorites: Now, it’s time to go on a Game Playing spree! Think of it like a shopping spree at the mall -- you’re going to try on every game that looks appealing (and maybe even some that don’t, just for fun! :P) until finding the perfect ones. Head on over to the Games Room and first play the Featured Game. After playing several times and determining if the game is enjoyable and a good return for your time, consider possibly adding it to Game Favorites. Adding a game to Favorites is easy. Below the game launch screen lies a button with a plus sign and heart; with one click of this button, voila! The game is added to your Favorites, a list readily accessible from all game pages and holding a maximum of twelve games. Now, return to the Games Room, check out all the categories, and choose a couple that interest you. Are puzzles your forte? Try Educational and Puzzles. Video game enthusiasts may find their match in Action and Arcade Classic. If at a total loss to know what to try, Top Games or For Kids may be a good starting place. After completing the spree, your Game Favorites list should be full of twelve enjoyable games. Be sure to play these games every day. Also, remember that at any time you can add different games to Favorites; just ensure you remove the necessary number first to make room. Another popular method, sniping is searching for an item on the Shop Wizard, Super Shop Wizard, or auctions, and finding a good deal. The first person to buy the Five Dubloon Coin has sniped it and can resell for the true market value. Snipes are often the result of ignorance, careless mistakes, or occasionally, a user wants to give someone else a bargain. Even though the list of "snipe-able" items is nearly as vast as the items in Neopia, a few common ones are: bottled faeries, dubloons, codestones, map pieces, morphing potions, and paint brushes. Of course, keep in mind, the more common a search, the less likelihood of actually snagging the item. So, using your interests along with trial and error, develop a list that is uniquely yours. The thing about snipes is they are uncontrollable; either they are there or not. But generally, more searches equals more snipes. Shop Wizard searches are limited though, so use them wisely. Reselling is rather self-explanatory -- you buy items from users to resell to other Neopians -- but it can be a disaster if you don't understand two essential facts. A. Buyable versus Unbuyable: The maximum price items can sell for in a user's shop is 99,999 NP; this is called a buyable item. When an item is more rare and is worth 100,000 NP and up, it's referred to as an unbuyable, often abbreviated UB, and is sold in the Trading Post or auctions. B. Easy-to-sell versus Hard-to-sell: Easy-to-sell (ETS) items are in high demand and sell relatively quickly, such as paint brushes, avatar items, and various map pieces. Hard-to-sell (HTS) items don't appeal to the vast majority of Neopians and, therefore, take an extended time to sell. A few examples: Painted Petpets, expensive plushies, basic color (red, blue, green, yellow) morphing potions. Sometimes, you will see a thread entitled "Buyable UB in shop!" or "Highly Discounted UBs!!" Instances like these are exactly why reselling exists. Those too impatient to wait for offers through the Trading Post instead want the NP nearly immediately, even if it means taking a loss, which creates the perfect opening for resellers. Don't dive headfirst into reselling, though, without checking a bit first. Is the item truly an UB? A quick Shop Wizard search will reveal the truth. Is the amount to be made worth your time? Check the item's ten newest trades to see the current prices. When was the item released? Relatively new items will be quite high at first; then as more and more restock into circulation, prices will plummet. Is it ETS? Avoid HTS at all costs. And finally but most importantly, do you have patience? It is crucial to reselling, so if you are lacking, another method would be more suitable. Once you have all the necessary information, you can make an informed decision. Of course, you will inevitably make a mistake, but eventually, you will also succeed and grow in confidence. World Challenges are Flash game competitions in which Neopians compete against one another. New competitions begin three minutes after the hour every hour throughout the day and night (i.e. 12:03, 1:03, 2:03). For a nominal fee of 100 NP, a user enters a particular game's World Challenge, and each score sent for the next fifty seven minutes is placed randomly against another entrant's score. The Set-Up: All World Challenges (WC) are divided into twelve "worlds" -- Kreludor, Neopia Central, Haunted Woods, Lost Desert, Faerieland, Krawk Island, Mystery Island, Virtupets Space Station, Meridell, Tyrannia, Terror Mountain, and Maraqua. Not every Flash game qualifies for WC, because some games belong to worlds like Shenkuu that don't have a WC yet. But most do qualify, though not all simultaneously due to a rotational schedule. Every day, TNT chooses two to five of the most popular games and sometimes a random game or two for each world's WC competitions. For example, on Sunday, Terror Mountain WC may include Snowmuncher, Ice Cream Machine, and Snowball Fight while Monday's Terror Mountain WC may include Snowmuncher, Let It Slide, Ice Cream Machine, and Snow Wars II. Scoring: Once entered in a WC, every score you send until the next hour will count towards the competition. If your score is higher than the player's score you are matched against, you will receive a tally of 1, and they will receive a tally of -1. The goal is to either have the highest tally, highest score, or highest score total while retaining a minimum tally of 0. When five players have entered a WC, the top two players for tally, highest score, and highest score totals will split the jackpot and be awarded prizes. The more players entered, the bigger the jackpot and the more winners rewarded. Prizes: Oh, you wanted to know about prizes? :P Winners are notified via Neomail at the end of the WC and, in addition to a small share in the jackpot, will find a WC map piece in their inventory. All worlds have three unique maps requiring twenty pieces each; to avoid confusion, the name and number are both in the map piece's name (i.e. Terror Mountain 1.15 WC Piece). When all twenty pieces have been added, an option will appear to convert the map into 2,000 NP and a "rare" item. To Convert or Not to Convert? When converting a WC map, the "rare" item could be something wonderful like a paint brush or something lousy like a cheaper petpet. Each piece is valued between 10,000 and 70,000 (rare pieces) NP, so with a bare minimum of 200,000 NP for selling all pieces, it's basically a gamble if you choose to convert. I have converted a few, but I've also been burned with poor prizes. So, my friends, that is a question you will have to answer personally. If any of this seems confusing, don't worry! After participating in a few WCs, it will become clear. Also, don't be discouraged if you don't win the first few WCs you attempt. Your priority should be finding at least five games you can win in, and this may require some searching and experimenting. Maybe start with your Favorite Games list. Once you have found a few suitable games, I suggest making WC part of your dailies. Either use your Favorite Games' links and check if they are a WC that particular day -- you can do this by clicking the Neopian planet icon on game launching screens -- or simply check each of the twelve worlds. Making WC a regular part of your day will guarantee no time is lost and should help towards achieving the three piece maximum daily. The Faerieland Employment Agency offers jobs for Neopets who enjoy more than twiddling their thumbs. Every ten minutes, new jobs become available, and for the quick, a profit can be gained. Jobs fall into two categories, Basic Jobs and Super Jobs. Basic Jobs can be accessed by everyone, no strings attached, while Super Jobs require a Job Coupon, a type of admittance ticket, to complete. Because generally Super Jobs are not worth the exorbitant prices of various Job Coupons, let's focus on Basic Jobs. Since basic jobs are given on a first come, first serve basis, the first applicant will get the job and, using the Shop Wizard in a separate window, will search for, buy, and turn in 3 Cactus Leaves as fast as possible. Then, rewards are given -- experience for their active Neopet and at least 5,070 NP. Considering 3 Cactus Leaves cost around 2,100 NP, they will earn at least 2,970 NP for this job along with a bonus if they did it speedily. The maximum job completion per day is five, and although obtaining a job can be difficult at times, persistence should pay off, especially with jobs refreshing 144 times throughout the day and night. If you make a mistake and click a job that will actually lose NP, you can forfeit the job but will receive a fine of 200 NP. In time, you will learn to look at the time, reward, item, number, and know which ones to pursue. Before long, you'll be a professional Faerieland employee! In addition to randomly-awarded Faerie Quests, there are several other voluntary quests. Certain characters will ask for item(s) they need, and after completing their quest, you'll receive a reward. A. Illusen's Glade/Jhudora's Cloud Quests: Illusen is the serene Earth Faerie living in Meridell, who is good and kind. Jhudora is the evil Dark Faerie living on a cloud in Faerieland, plotting to overthrow Queen Fyora's rule. Each has her own quests, numbering 1-50, and as the quest number rises, so does the rarity of the requested item. Due to them asking for unreasonably-priced items, never-activated items, or bad timing, few people ever make it to 35, let alone 50. With this in mind, you might want to consider pursuing Illusen/Jhudora at a later date. B. Edna's Tower: She's a witch, living in a tower in the Haunted Woods; what more can I say? Don't let her use of the word "sweetie" fool you -- she will ask for one to three items, sometimes even UBs, and her reward will often be, say, a Mummified Ice Cream worth 5 NP, and if she's feeling generous, maybe 168 NP, too. Edna's similarly lavish with her avatar... *grumble* If at all, I'd limit her quests to one (reasonably-priced) a day until you're finished saving. C. Kitchen Quests: The Chef dwells in Mystery Island and serves the enormous Mumbo Pango, whom the natives revere. You will have to excuse his abrupt requests for help; in addition to displacement from his Maraquan home, the poor Flotsam's nerves are frazzled from Mumbo Pango's constant demands for delicious concoctions like Creamy Anenome with Custard Mash. He needs help desperately, and in return for a few items, he will grant you either NP (usually no more than 1,000 NP), a rare item, or will raise a Battledome statistic for one Neopet (i.e. Strength, Defence, etc.). D. Taelia's Quests: From her home on Terror Mountain, Taelia the Snow Faerie concocts top-secret spells. But since it's freezing outside, rather than trudge through the snow, she politely asks for assistance. In return for several ingredients, Taelia offers a "magical snowball," an item, plus NP (usually around 2,000 NP). The allotment of total quests per day is ten, and I have found both Kitchen and Taelia's Quests to be worthwhile as long as limits are placed. If one item is over 5,000 NP, that's the line for me, because they can both be unreasonable -- a Bag of Peanuts, seriously?! "In your dreams," I'll say. But you can decide your own limit. Sometimes their rewards are quite good; I've received wearables, such as Evil Twin Goatee, that sold for a nice profit. However, they aren't always generous. So, when faced with a high-priced quest item, it's better to prepare for worst case scenario and wait out the remaining time. Competitions are an often overlooked NP source, but as well as actual NP awards, many wonderful prizes are handed out. Although sometimes the prize is simply a codestone, users have also received rare stamps, Snowickles, and even paint brushes! Who knows? You could win something amazing, too! Head on over to Pet Central, scroll down to "Contests and Activities," and click on "Competitions." As you'll discover, there is a competition for every type of individual. Artists will love the Beauty Contest and Art Gallery while writers will enjoy Storytelling and the Neopian Times. Gamers, intellectuals, and HTML/CSS gurus will also find the perfect match. Plots: Periodically, TNT releases plots, stories involving comics, puzzles, and Battledoming in which users can participate. They typically last one to two months with updates released mainly through New Features. Guides and assistance can be found on the plot board. After a plot ends, TNT tallies up all the points, which are then awarded to spend in the Prize Shop. Because points are based on a user's involvement, once a plot is announced, you'll want to participate as much as possible for a chance at buying the top prize(s). Trophies: Not only a cabinet decoration, trophies also carry a NP incentive. The top 17 places on the High Score Tables receive NP awards every day: 750 NP for 1st place, 500 NP for 2nd, and 250 NP for 3rd. So, if you're 2nd place for a month, 15,000 NP will be yours -- not a lot, but it adds up. Anyone is capable of one trophy, if not more. Using your Game Favorites, keep practicing the games you love! And make sure to stay updated. TNT is constantly releasing new games, so your newest favorite may appear soon! Stocks: The Stock Market consists of companies broken down into sections or shares, which can be purchased by the public as an investment. For reference ease, each company is abbreviated with what's called a ticker (i.e. The Neopian Times' ticker is TNPT). Basically, the object is to buy when a stock is low and then sell once it has gained value. You can actually lose NP, though, so it's advisable to watch a particular stock for a time before plunging in. Stocks can only be purchased when valued at 15 NP+ and are limited to 1,000 shares a day maximum. Choose wisely, be patient, and you may turn a profit in time. *phew* What a list! But it's wonderful to have numerous options available. With experimentation, you should find the perfect combination, learning to use your time efficiently. However, earning NP is only half the battle. 1. Stay Busy. Ever heard the saying about idle hands? Well, it's true. Don't let your hands or mind be idle, even for a minute, or you may begin thinking of ways to spend NP, which would be a disaster. I tend to bore easily, so I multi-task to the extreme. For example, I have numerous shop tabs open to restock, tabs for boards, the Shop Wizard in a window to price my shop and snipe, and between one to three windows of my favorite games. Older, slower computers may not handle that much at once. You'll need to design your own routine, based on your attention span and interests. 2. Find a Support Group. While pursuing such a large goal, the mentality of "You Versus the World" can creep in, especially when seemingly everyone around is buying rather than saving. The antidote? Find support, a group of like-minded individuals who are also saving for a big goal. If you can't find an existing group, take the initiative and start one, either on an appropriate board or in your guild! Or join with even one friend -- the point is to not feel alone, encouraging and keeping one another accountable. 3. Avoid Temptation. Okay, so you're cruising the boards and suddenly see the following thread title: "Selling Off Entire Negg Gallery! Offers?" You screech to a standstill, because Neggs are an obsession and what your fledgling gallery showcases. But, wait, don't click! If there's even 1% chance of desire overcoming will, flee away; instead, occupy your mind by playing a game or gain strength from your support group! The best strategy is to avoid the Shop Ad and Trading/Auction Boards unless absolutely necessary (i.e. selling your items), because by removing temptation as completely as possible, the chance of caving into a moment of weakness has greatly diminished. 4. Don't Gamble. Defined as "to stake or risk money, or anything of value, on the outcome of something involving chance," gambling's very nature ensures that 99% of the time, you will lose instead of gain. Because gambling is highly addictive, the best action is avoiding it altogether. Wanting to quickly gain mountains of NP is innate, but with a huge goal looming above, it's foolish to risk what you can't afford to lose. I'm not talking about an occasional scratch card or Dice-a-Roo game but am referring to Slots, the Lottery, vending machines, and various maps. I've seen people buy treasure maps repeatedly, even while losing big NP, trying to beat the odds, which seldom works. So, wash your hands of gambling, put on a mask, and don't catch the bug! Interest is not automatically added to bank accounts but rather must be manually collected each day. Make it your first daily, because after withdrawing or depositing NP, the interest button cannot be clicked, meaning you've lost that day's interest. Once you reach 11 million NP, you'll be earning 1.37 million NP interest a year! A. Bank Lock-out: Once you've collected interest at the day's start, make sure you have enough NP out to restock and snipe (Usually 200,000 Max. ), and then, withdraw 1 NP fifteen separate times. At that point, you will be "locked out" of the bank, unable to withdraw NP until the following day. B. Log Out: Of course, the other, rather obvious method is to simply Log Out of your account. Step away from the computer, take a walk, read a book, watch TV -- anything to distract your mind. When you have regained your self-control, and only then, you can log back into Neopets. Both are drastic measures, but they are effective and exist for you to use if the need arises. After settling into a regular rhythm of earning and saving, progressing steadily towards the halfway point, you are to be commended! However, unless you exercise extreme vigilance, you can often become your own worst enemy, discouraged and losing the ground gained. How to offset this mid-Adam crisis? Read on! While Adam-saving, I encountered a user who maintained she had completed the Number Six avatar in only two weeks! Although I now doubt the plausibility, at the time her claim made my heart sink. I'd been working hard, pleased with my progress, and... wham! Suddenly, I felt inadequate and discouraged, all because I'd compared myself with someone else. My mom often reminded me when I was growing up: "Comparing yourself with others is not wise," which is 100% truth. Everyone has different strengths, weaknesses, and circumstances and will take varying lengths of time to complete this goal. As long as you are happy with yourself, that's the important thing. All journeys are easier to envision when broken into smaller steps; then, a "can-do" attitude fills you rather than an overwhelmed feeling. Say, if 50,000 NP a day seems difficult, start at 5,000 a day. Once you achieve that easily, increase it to 10, then 15, etc. That way, you are constantly pushing yourself, growing towards your full potential, which is different for everyone. You can also make smaller, more achievable goals overall and add incentives, since they always bring a smile. For instance, when you earn the first million, allow yourself to buy a treat, maybe a gallery item (10,000 or under). This allows you to reward the hard work and spend a little without breaking the bank. There likely will be many times when you feel like completely giving up, but don't! Even if you make a gigantic blunder, like breaking down and buying that shiny Krawk Transmogrification Potion you've been eyeing. Oops! :o Have you ever heard the age-old dietary advice: After eating one piece of cake, don't think, "Ah, well, my diet's shot; I might as well eat the whole cake"? Well, the same principle applies here; rather than throwing in the towel and spending the remainder of your NP, consider how to recover. In the above case, let's hope you haven't used the trans yet and can sell it to recoup the NP. If not, your road will be much harder, yet not hopeless. Mistakes are a part of life; the challenge comes in learning from them and how to improve the next time. So, basically, it all comes down to sheer will to finish what you started. Do you have the determination? Only by completing this goal will you discover the answer. *Safety Precaution: Throughout travels in Neopia, it's wise to be aware of certain threats, mainly criminals who roam the site looking for prey. The Pant Devil, Grundo Leader, and Shadow Usul are just a few who will steal your items at every opportunity. Be pro-active and ensure valuables are safe, inaccessible by thieves either in trades/auctions, shop, or your safety deposit box. On the other hand are the Tax Beast, Angry Tax Beast, Sloth & Co., and King Skarl's Marrow Tax who will drain up to 25% of your on-hand NP! Seriously, keep your NP safely tucked in the bank. Before long, all the hard work, patience, and determination will pay off, and you can re-visit the "About Us" page to dole out a bit of comeuppance and receive your reward -- the avatar, in all its shifty-eyed, evil laughter glory! You are now eligible to use 'Number Six' as an avatar on the NeoBoards! Adam currently has 11,070,786 Neopoints, the same as you!" Congratulations! Major kudos to you for completing the goal! After attaining the avatar, you can choose to leave all the self-denial behind and take the biggest shopping spree of your Neo-life as a reward! Blue Draik Egg? Check. Faerie Queen Doll? Check. Baby Paint Brush? Check. Woo-hoo! :D Eleven million will disappear quickly, so choose purchases carefully and have fun. Or you can choose to spend little to no NP and continue to save. Oh, do you think I'm crazy? Well, not exactly. See, saving for Adam often has an unforeseen side effect -- an addiction to... saving! *gasp* Watching a bank account grow and collecting daily interest becomes a comfortable routine, and although the interest percentage maxes out at 12.5%, the more you save, the higher the interest amount. So, a hypothetical bank account of 100 million would earn a whopping 12.5 million NP in yearly interest alone! Talk about incentive! Also, Number Six is hardly the most expensive avatar to acquire; the two biggest ones -- Malevolent Sentient Poogle Plushie (TCG) and Super Attack Pea -- both have now inflated to triple digit millions, which are nearly unattainable without saving like mad. What's life without challenges though? Spending or saving, the choice is yours. Considering the vast array of users, everyone's decision and reasons will vary, and no one can say if it's the right decision but you. The great part about Neopets is the existence of wide-ranging hobbies that fit each user's idea of fun and accomplishment, and after completing a huge goal like Adam, you know with certainty that you can accomplish absolutely anything you decide to pursue! Well, I sincerely hope this guide has helped you in some way, and any further questions or comments are welcomed. Finally, in every single dream and endeavor, I wish you the very best life has to offer!